The way these Exhibit Doctor posts have been working is that I gather some background information about the topic, and then solicit input (especially practical "visitor tested" examples) from ExhibiTricks readers and then do a follow-up post containing the collected images, examples, links, and wisdom into one convenient package. First off, there are a variety of commercial "frames" that lock and/or contain iPads (such as these) but most of them have limitations --- slots that visitors cram stuff into, or designs that still leave ports or the "home" button exposed in some way. That doesn't mean that there aren't "off the shelf" solutions out there (somewhere!) that people have used or liked. 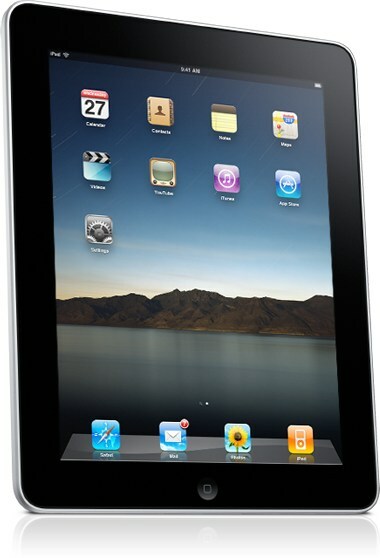 Let us know your favorite iPad protection device in the "Comments" section below, or by emailing me directly. Secondly, there are "home-brewed" possibilities for locking down iPads that could be created that both prevent theft and mischief to the apps and iOS. Have some tricks that worked well for you? Let us know about those as well. Lastly, perhaps the best way to utilize tablet/touch technology in exhibitions is not to lock down the devices at all, but instead to use them in staff-moderated ways. I'd love to hear about success stories for facilitated ways to use iPads that go beyond merely helping people use vaguely-related apps next to a physical exhibit component. So that's the plan --- send your practical examples of how to use iPads in exhibitions my way via the "Comments" section or email, and stay tuned for the follow-up post that collects all the ideas in one place! Speaking of which --- don't miss out on any future ExhibiTricks posts! It's easy to get updates via email or your favorite news reader. Just click the "Sign up for Free ExhibiTricks Blog Updates" link on the upper right side of the blog. Interesting that you aren't using labels. I'll be interested to hear how both that aspect of the exhibition and the Explainer-mediated iPads work out. Paul, we haven't used iPads yet in any exhibitions, but part of Apple's recent announcements about new iOS6 features included a "Guided Access" option. This will allow you to lock down the iPad into a single app, disabling the Home button and allowing touch to work on certain parts of the screen only. I haven't seen it in real-world action, but it sounds like a feature that could alleviate a lot of headaches with iPad incorporation into exhibitions.